Have an Intimate, Immaculate Rendezvous with Nature this Arbor Day! Hello, my lovely friends! How are you guys doing? April has been great, isn't it? And hey! Did you guys fool each other on April Fools' Day? Did you? WOW! That's awesome. I'm sure you people had super fun. The spring/summer season is in its full swing, and the weather outside looks absolutely lovely, isn’t it? So, amidst all this, what about doing your bit for the environment? Rings a bell in your head? Well, well, well… We’re talking about Arbor Day! Yeah! Now, sweets, all those of you who are going to celebrate it this year raise your hands, please? Come on, don’t feel hesitant; we hope that by the end of this article, we’ll be able to convince you entirely to gear up and make this Arbor Day super memorable! Alright, so we’re in the ‘encouragement’ mode, and we’ll go all out to make sure that you tick this day in your ‘favourite days’ list. So, what are we waiting for? Let’s begin with the scratch! Arbor Day is an important day celebrated worldwide for its great environmental significance. 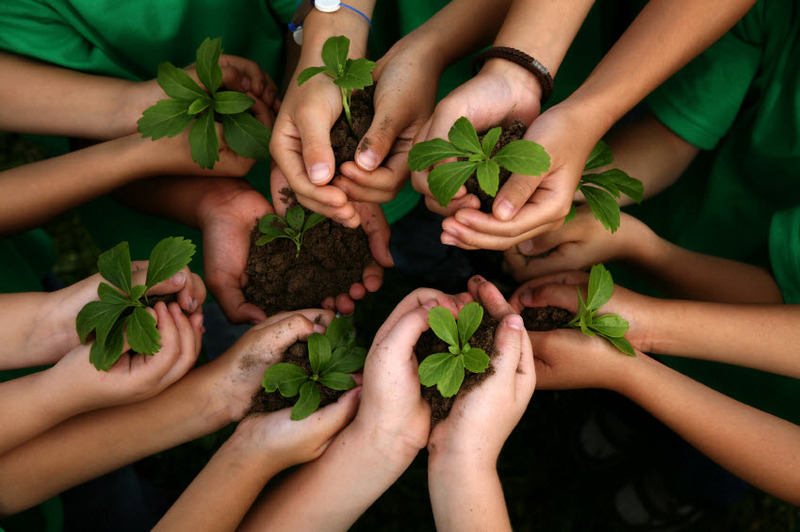 Every year, millions of people across several parts of the world go out, get their hands dirty and plant trees in their neighborhood. It’s all about going close to nature and helping in building a greener, healthier and safer tomorrow by planting saplings. Undoubtedly, trees are the most phenomenal supporters of my existence on my planet because they provide us with everything -- Food (in the form of fruits & vegetables) and water (by maintaining water balance and aiding in evaporation of water leading to rains in many cases). They also provide shelter (to man, animals, and other smaller plants), fresh air (oxygen included by their natural process of photosynthesis) and housing (by offering timber for building houses and wood for furniture, firewood, etc.). Plants are just an excellent source of our everyday need in the best possible way. Additionally, trees provide vital protection for the Earth’s topsoil from erosion, oxygen, and homes for wildlife. They also are a renewable resource that provides a variety of materials for building, fuel and office supplies. Trees beautify our environment, provide shade on a sunny day and improve our quality of life. So, now that you know the amazing benefits of trees, why don’t you plan and act on planting them? It doesn’t take much of your time for sure. National Arbor Day celebrates all these things and aims for American generations to come to enjoy all the benefits trees have to offer. And moreover, Arbor Day is a public holiday in various countries, especially in America! Now, let’s go back in time and know what exactly led to the celebration of this day; after all, we ought to find out the reasons to ‘how’ and ‘why’ of things at every level. Always remember that it’s okay to appear ignorant and stupid while asking questions, but it’s terribly not okay to be ignorant about something for a long time! So, enlightened by this thought, let’s get to the root of the Arbor Day. Arbor Day was not traditionally celebrated on the last Friday of April; in fact, it was not even set a particular date for a long time post its initiation back in the year 1854. Want to know the complete story? Here we roll! Long back in the year 1854 when J Sterling Morton moved from Detroit to Nebraska, he and his mates observed that the place lacked the blessing of Mother Nature. In other words, they noticed that there were hardly any trees or plants in the surroundings. Also, due to scanty vegetation in the area, there was no provision of windbreaks to stabilize the soil and to give shade from the Sun. Morton planted many trees around his home and encouraged others to do the same. Finally, on the 4th of January, 1872, Morton proposed a holiday to plant trees on April 10 that year. It was known as "Arbor Day" and prizes were awarded to the counties and individuals who planted the maximum number of trees on the day. About one million trees were planted in Nebraska on the first Arbor Day. In 1885, Arbor Day became a legal holiday and was moved to April 22, which was Morton's birthday. In 1989, the official state holiday was moved to the last Friday in April. All states in the US now have an official Arbor Day; usually at a time of year that has the best weather conditions for planting trees. 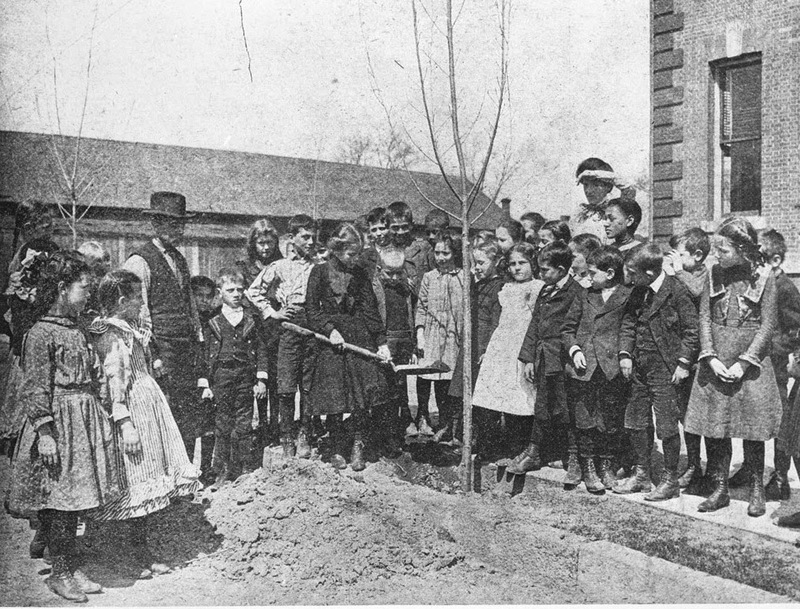 This was the story behind the celebration of Arbor Day – A day that prompted people to take to contributing their bit to nature. There are hordes of things you can do to make a difference in the world and the environment, and you don’t need to be an adult to do that! Kids, you’re a great power in your own right, and you can certainly do a lot to improve the condition of this planet. • Study the ecosystem of one particular tree. • Write an Arbor Day poem or rap and perform it for the school. • Correlate the history of the United States or your community to one tree's growth rings. • Learn to identify trees in your community. Students can use a tree key or create their own. Take a nature walk and practice this new skill. • Study the structure of a tree, how it functions, and what benefits a tree provides. • Make bark rubbings and have the students’ trade rubbings to see if they can identify each other's tree. • Study the importance of trees in different cultures. • Collect leaves, brush tempera paint on them and make leaf prints. • Tree shapes often aid in tree identification. Have students pretend to be a particular type of tree—weeping willow, redwood, etc. • Ask each to student write a description of a tree found on the school grounds. Then see if other students can find it using the report. • Have students write letters to community tree planters, thanking them for their efforts. • Learn about spices and other foods and learn about the trees that produce them. • Play ‘Who Wants to be a Trillionaire?’ or Tree-vial Pursuit and see which class or group of students can answer the most tree-related questions. • Plant trees on the school grounds and learn how to maintain them. • Participate in a community Arbor Day celebration. Thus, this was the entire story behind the initiation, evolution, and commemoration of this very special day that celebrated the beauty, glory and significance of nature, especially plants & trees in all its exuberance, yet with a touch of unparalleled simplicity. We encourage you all to go out and enjoy nature by planting trees and samplings, and in turn, plant a beautiful tomorrow for you and your future generations! Happy Arbor Day!! !